The (Lessee) agrees to abide by the following terms, conditions and restrictions. HOLD HARMLESS AGREEMENT: The hold harmless agreement described on the contract page of this packet is a legal document and must be signed to confirm your event at Winding Trails. INJURIES: The Lessee agrees that Winding Trails, Inc. shall not be responsible for any injury or damage to persons or property that may occur before, during, or after the rental period. The Lessee agrees to defend, indemnify and hold harmless Winding Trails, Inc, its employees and agents from any claim for bodily injury or property damage that may occur from using this recreational facility, unless such loss, damage, or injury results from the reckless, willful or wanton misconduct of Winding Trails, Inc., its employees or agents. LOST, DAMAGED, OR STOLEN ITEMS: Winding Trails, Inc. is not responsible for any lost, damaged, or stolen items. Personal items should not be left unattended. ALCOHOL: Alcoholic beverages are permitted on Winding Trails’ premises by the Lessee. The Lessee agrees that if alcoholic beverages are served during the rental period that the Lessee will comply with the Liquor Control Act of the State of Connecticut and obtain any and all necessary permits relative to the service of alcoholic beverages. It is specifically understood that Winding Trails, Inc. takes no role in and is not responsible for the service of alcoholic beverages by the Lessee. No glass containers are permitted. Excessive drinking, intoxication, rowdiness and/or unruly behavior may result in police notification, dismissal of your group and forfeiture of your Security Fee. The Lessee agrees to defend, indemnify and hold harmless Winding Trails, Inc, its employees and agents from any claim for bodily injury or property damage that may result from the Lessee serving alcohol at this event. 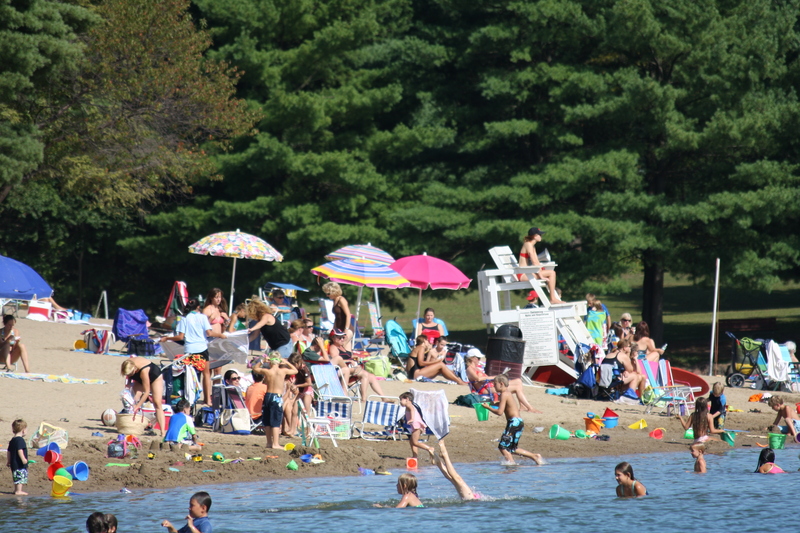 SWIMMING: Guarded swimming is permitted ONLY at Dunning Lake, from early June through Labor Day. Children under 12 yrs. old MUST be accompanied by an adult at the beach. PETS: No Pets allowed on the property or in vehicles at any time. It is the responsibility of the signer of this contract to ensure all guests are aware of this policy. AUDIO EQUIPMENT: Keep music, noise, public speaking, etc. to moderate levels with-in your own Pavilion as to not bother neighboring rental groups. If your noise level is too loud, the Rental Attendant will be by to discuss this matter with your group. If this problem continues, you could risk losing your Security Deposit. Please be considerate and respectful of other groups. PARKING: All vehicles must be parked in designated parking areas. Stay on pavement. Do not drive on grassy areas and do not drive up to pavilions. RAIN DATES: No rain dates are provided due to high usage of the facility. We might be able to reschedule your group at a later date in the season only if the schedule permits.